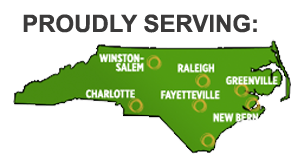 As a solar installation company, Southeast Power doesn’t just service Garner but also the rest of the surrounding cities and towns in the Carolinas. Residential Solar Power– Are you tired of stressing about a high electricity bill? Worrying everyday about how much energy you are using and how money you are losing? Well fret not! Contact Southeast Power right now and we will come to your New Bern home and install our photovoltaic system. Having our PV system installed will reduce your bill for up to twenty-five years, cutting your bill almost half! Giving you enough extra cash for you and your family to take that special trip to the beach or see the beautiful gardens at Tryon Palace that you have been planning. The way Southeast Power’s PV systems works is that when it is exposed to sunlight, it properly controls, converts, and then delivers the sun’s energy that is produced by the solar array. This installation is not only an awesome benefit for your home but also great for the town of New Bern for it reduces the burning of fossil fuels and gives the town a cleaner environment. So not only are you benefiting yourself but also the great town of New Bern and you are doing a great duty as a resident. So again, why continue with a sleepless night of panicking over a high utility bill when you can contact Southeast Power right now! Generator For Your Home– Rushing storms! Hard-hitting winds! Down-pouring rain leading to a coastal flood! These are just few descriptions of what a disastrous tropical storm or hurricane could cause; leaving a family in distraught and unable to carry on with their daily lives. Along with your beautiful sandy beaches, Wilmington is known for experiencing these types of disastrous tropical storms or hurricanes causing them to encounter power outages and being left in the dark for long periods of time at their homes. Be more prepared next time by having Southeast Power to install one of our top generators at your home. Our generators are hand crafted by the number one manufacturer of home backup generators, Generac Power Systems. They are made to be durable and ready for any incident that may occur. Our generators operate automatically and refueling is not necessary, for it runs on existing natural gas. So there is no need for buying gas cans. We take pride in caring about the safety of our customers and their families and making sure that they find peace during the tough times that Mother Nature has to offer. 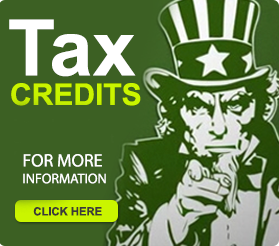 Contact us now before it is too late. Commercial Solar Power– Whether you’re a start-up company or a veteran in the Emerald City, having Southeast Power to install our solar panels for your business would be an awesome and innovative marketing tool for your establishment. See your business increase from residents in the Greenville area that appreciate what you are doing for the city’s environment. Also see your electricity bill cut down almost half for our solar panels converts, controls, and delivers the sun’s energy for you to power your business. Leaving you with a lot more extra money to invest more in your business and even give your employees a raise. Stressing about the cost of installing? Well don’t. Did you know that Southeast Power offers a Commercial Solar Finance Program so you can make payments and that there is a new federal grant that covers almost thirty percent of the installation cost? Making it easier for you and your business and making it that there is no excuse on acting right now! Make that decision and contact Southeast Power and ask for your installation. This would be a great a benefit for your business. Go solar and turn the sun in to a revenue generator for your business today! Generator for Your Business– You have finally got your business up and running in downtown Winston and then suddenly a power outage. Forcing you to close down early and lose revenue. Leaving your dreams in delay and giving your competitors a chance to take your customers. Well, Southeast Power is here to help and to never let a power outage stop you from operating in the Camel City again. Just because you lose power does not mean you have to lose business. Have Southeast Power to install one of our top generators from the number one generator manufacturing company Generac Power Systems. Generac generators are built to be tough and long-lasting so you can be well prepared for the next power outage. Whether your business is in the heart of the city or not, we can still reach you. This is a great investment for your company for it will pay off well at the end. Why spend another day closing down shop because of a simple blackout? You cannot afford it, act now! Let your customers know that you are ready for anything while sending a message to your competitors that you can’t be stopped. Lead with power! HVAC– Questioning if your installation is done correctly? Well question no longer. Have Southeast Power to visit your home in the 2-6 area and test if the HVAC in your home has been installed correctly. It is very common that many homes go through bad installation from heating and cooling industries that have nonprofessionals working for them. Causing comfort issues in the home and even leading to high energy cost. Stress less by having one of our highly qualified heating and cooling professionals from Southeast to visit your home and do a test to see if there is a problem with your installation and then suggest strategies on how the problem can be fixed. If there is a problem with your installation we will offer you help from our sister company Biggs HVAC. Biggs HVAC is a heating and air conditioning company of highly trained professionals. For almost twenty years, Biggs HVAC has made it their mission to give their customers the best and honest service and more importantly to get the job done correctly. So do not waste another second worrying about your installation. Pick up the phone right now call today! Generators for Governments– A damaging hurricane, a blistering winter storm, or a freighting tornado is all some reasons that city may experience a power outage. This can cause the town to become very dangerous from non-working street lights and forcing the residents of the Raleigh city to stop in its tracks. But just because the residents of the city stop does not mean the city can. Southeast Power wants to make sure that the Raleigh city police and fire department, as well as its 911 call center, are all well prepared for any power outage that Mother Nature may cause by having one of our highly-trained professionals to install on of our top generators for the Raleigh area. You cannot afford to be affected by the power outage to, for it is your duty to protect and serve. Let us serve you so you can serve others. At Southeast Power we deeply appreciate the men and women that risk their lives day and night. We want to help much as we can so you can carry out that mission.